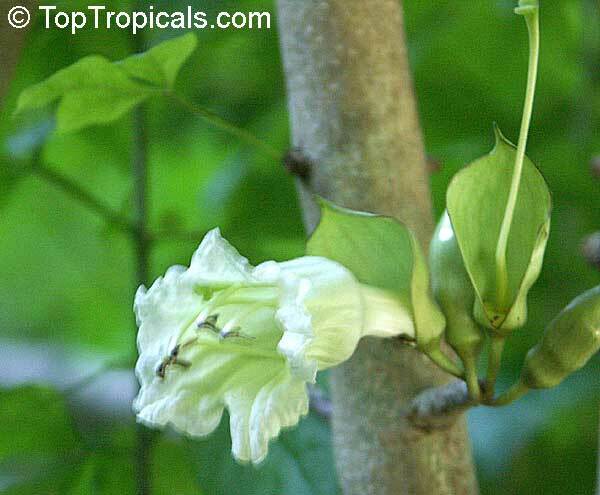 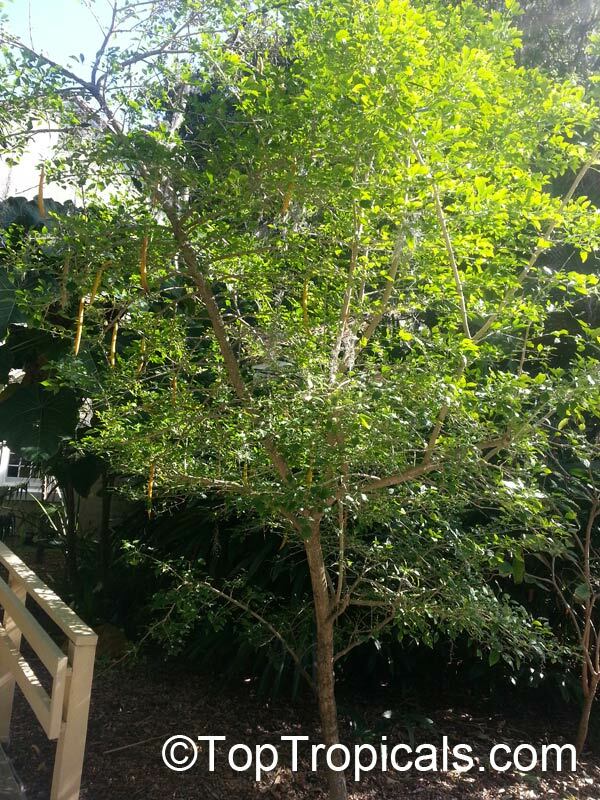 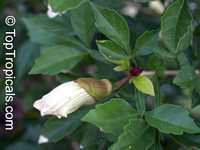 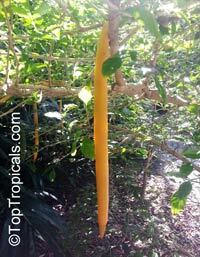 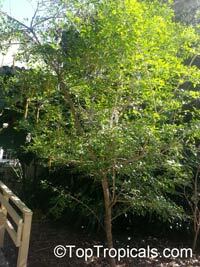 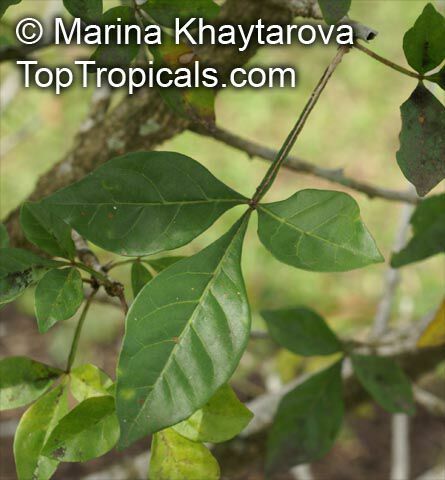 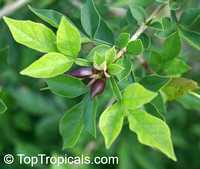 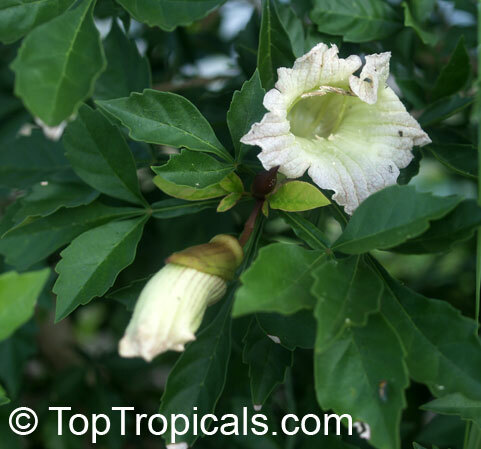 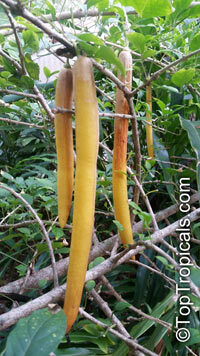 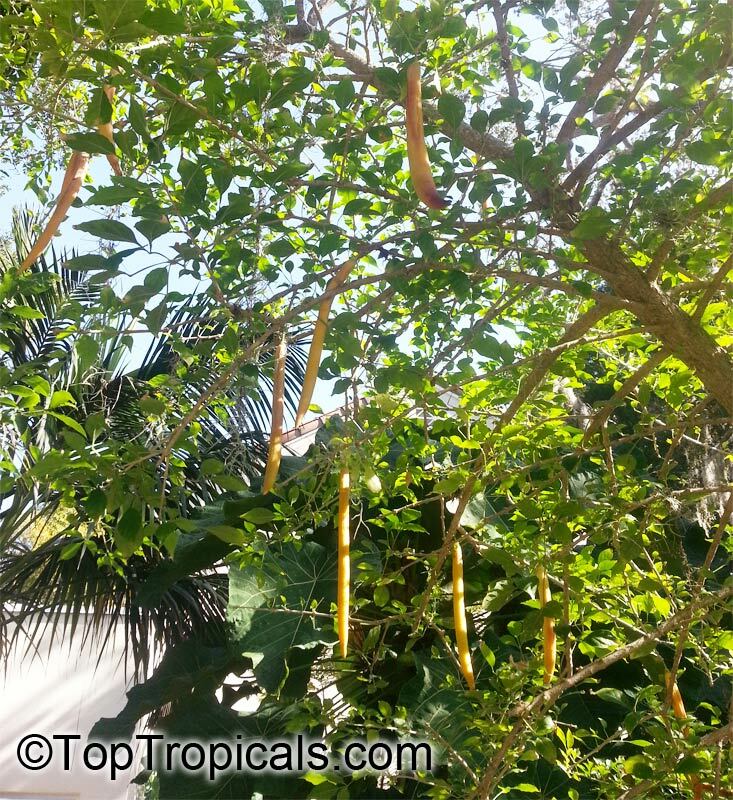 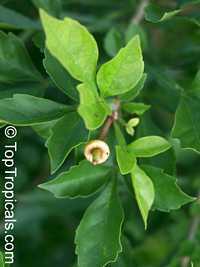 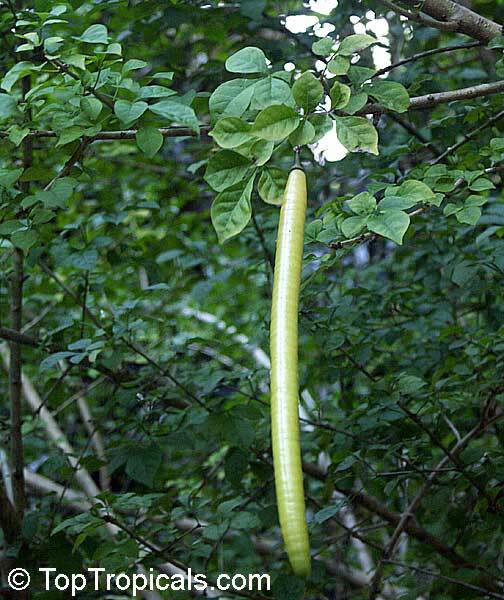 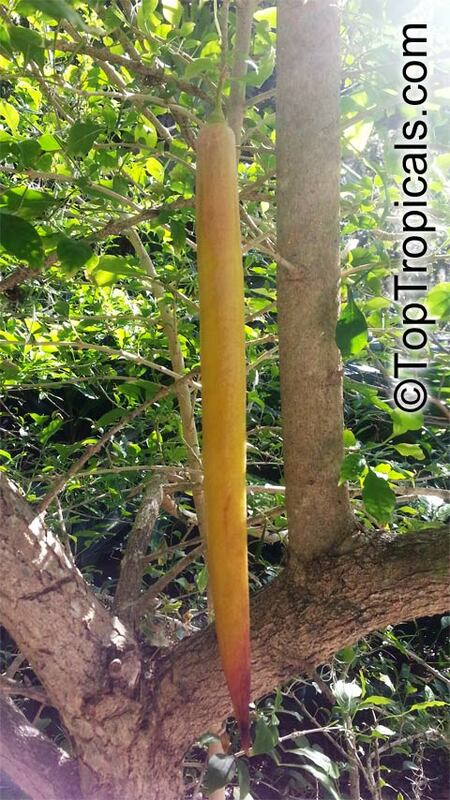 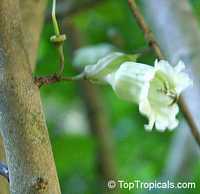 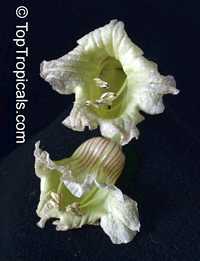 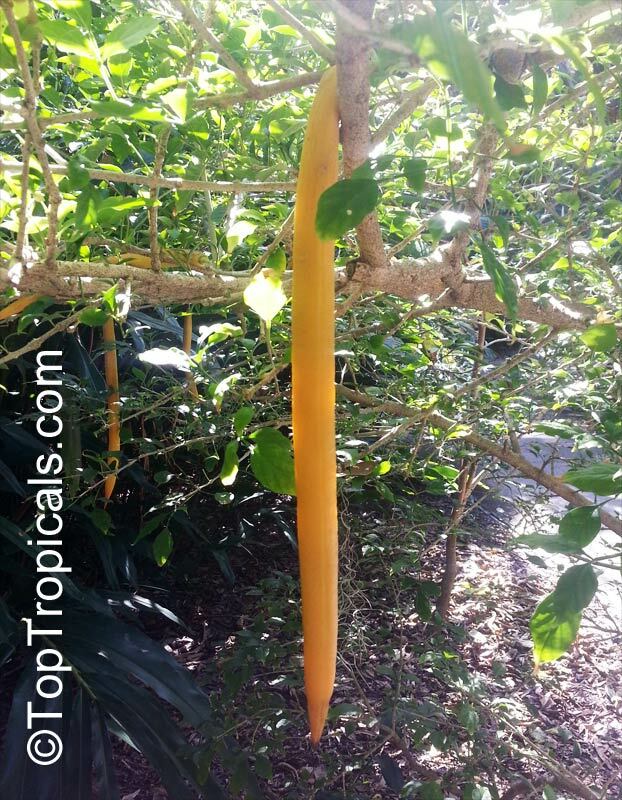 Medium size 25' tropical tree with 2" wide white flowers that are borne directly on the branches and are soon followed by dangling yellow fruits to 4' length. 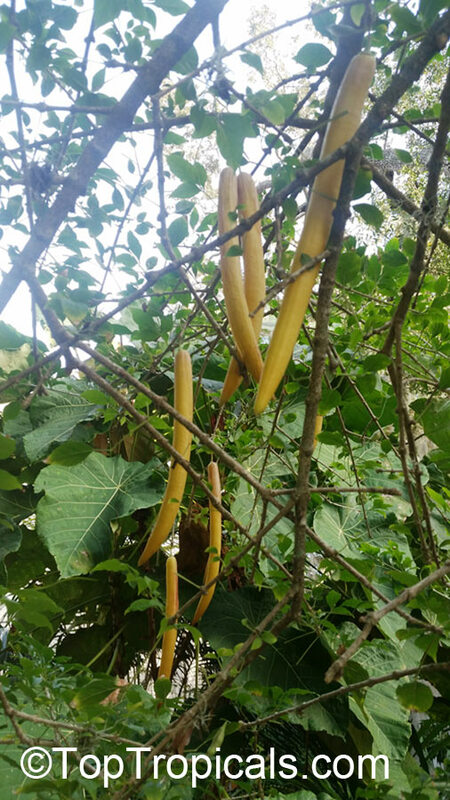 They resemble yellow candles. 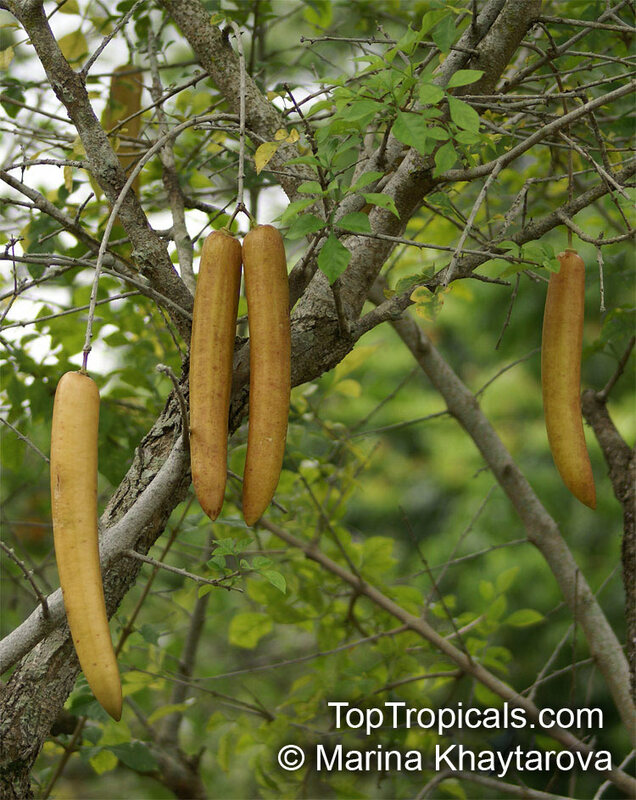 Fruits and seeds are edible. The tree is also commonly grown as an ornamental for its strange appearance when fruits are ripening. 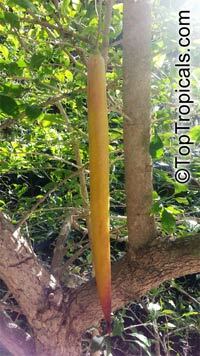 See our video about Candle Tree.